UK-based publisher System 3 has revealed that the planning permissions for Constructor Plus have been firmly secured, with a release date now scheduled for 15th February. 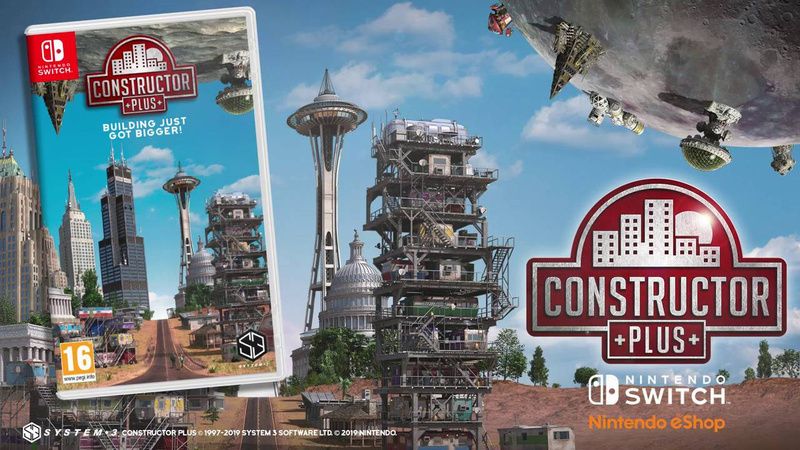 Bringing all the comedy and sarcasm of the original along for the ride (as well as its real-time strategy construction sim gameplay, of course), Constructor Plus arrives on Switch with new buildings, new undesirables, new game modes, and even new planets. To be specific, last year's Constructor HD had 43 buildings, Constructor Plus has 139; HD had five worlds compared to the 17 featured in Plus; and the game now has 65 new levels of 'Play' options with pre-built cities for you to expand. As noted above, the game is set to arrive on Switch on 15th February; it'll arrive as a paid-for update on other platforms from the 28th. 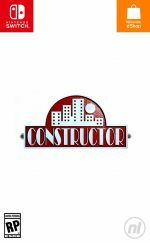 Are you a fan of Constructor's management sim gameplay? Will you picking this one up next month? Tell us below. I think it's funny that people forget its a PS1 game being ported with a hefty price tag attached. Finally after getting my previous Pre-Order cancelled but where is the Physical version? Good to hear the news I was worried the Switch version has been cancelled. @SwitchForce @earthinheritor @GrailUK @electrolite77 I just bought (and I'm enjoying) Civilization VI on my Switch. Is this kind of like that? @leo13 Personally I would say its more like SimCity. It's been a long time as i played the original, but its more of building a city and trying to grow it with some quests etc. Its fun but not really like Civ. @dougphisig Too be honest I never figured that out. Same title, graphics are pretty similar and basic. The only additional changed I've seen is that they added features not found in the original. I seems it was more of the original but with extra content. On the Wiki page its listed as an HD remake of the classic. Decided to Google it before i finished typing. gotcha guess the guy should have said HD remaster than sequel, though with all the added content probably will make it closer to a sequel. This got really poor reviews elsewhere. It's supposed to have all sorts of problems such as being riddled with bugs, awkward controls, incomprehensible menus. I'd like to hear more about it. I have never played a game like this before. If I am even understanding what it is. With all these city/building builders dropping, you would think one of them would learn to do it right from the failure of the others... heck just examine the original RCT series for a winning strategy. Twenty years later, this game is still hilarious. Though I will be missing the original's outragous artwork for the residents and their home enteriors. The game sits in between real-time strategy, 4X management, and city sim. To this day it's still quite a unique combination of play elements. You build and rent out homes to earn money, and in turn, you tenants will offer up their children either as builders or future residents to you. You try to keep them all happy, and try to sabotage opposing entrepreneurs. And it's all steeping in British stereotypes. The closest game I can think of is one of its contemporaries, a game called Beasts & Bumpkins. But that still isn't really the same. About bloody time. This was originally scheduled for release nearly 2 years ago! I had since given up hope. I hope the physical version is still coming to Australia. @Untempered-Link yah im surprised too. You're right, this isn't the place, I'm going to delete my comments and perhaps you can do the same. We'll keep any discourse off of here. @TAndvig The leaked videos, are bs. the times and DM both had to retract articlesabout it. As you said this isn't the place. And its clear that arguing here won't change your mind. What does this have that cities doesnt? I love simulation games and especially builders but cities is considered one of the best and this looks lackluster comparitatively.